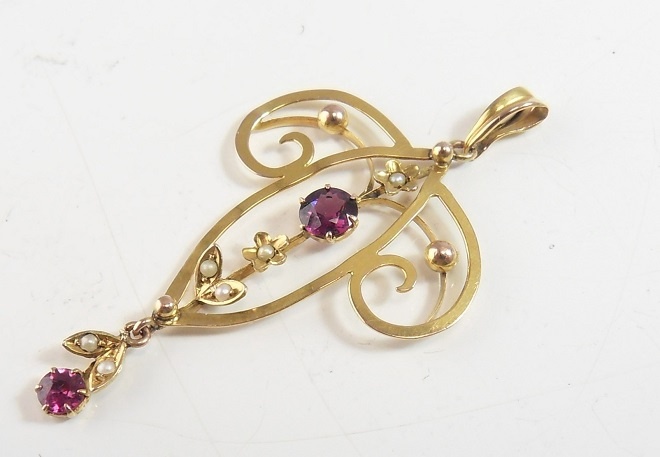 A very pretty Iconic Edwardian style pendant c. 1910. 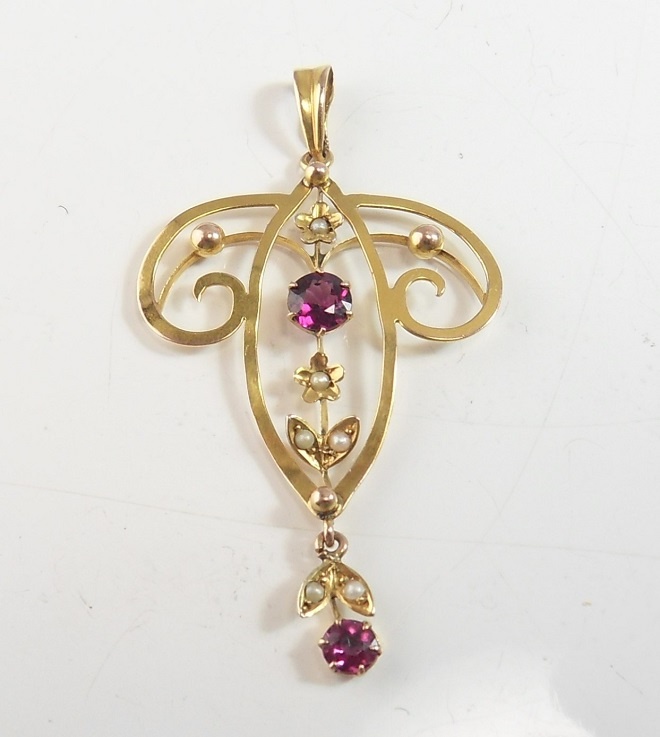 The pendant is made from 9ct yellow gold and is in a lovely scrolled design and set with two beautifully coloured deep pink tourmalines and is studded with lovely seed pearls. 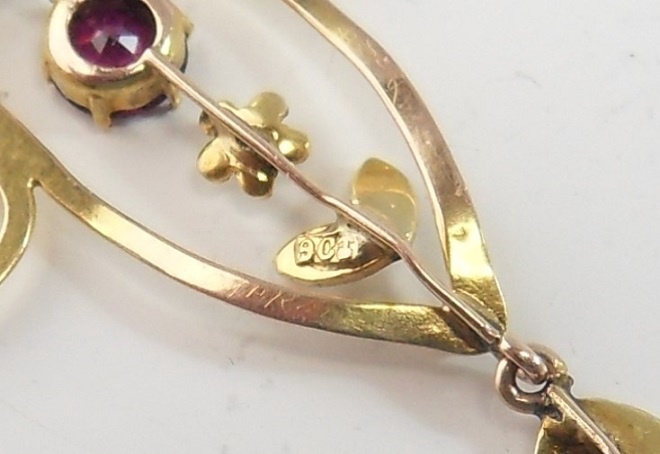 It has a nicely shaped loop at the top for fastening to a chain. 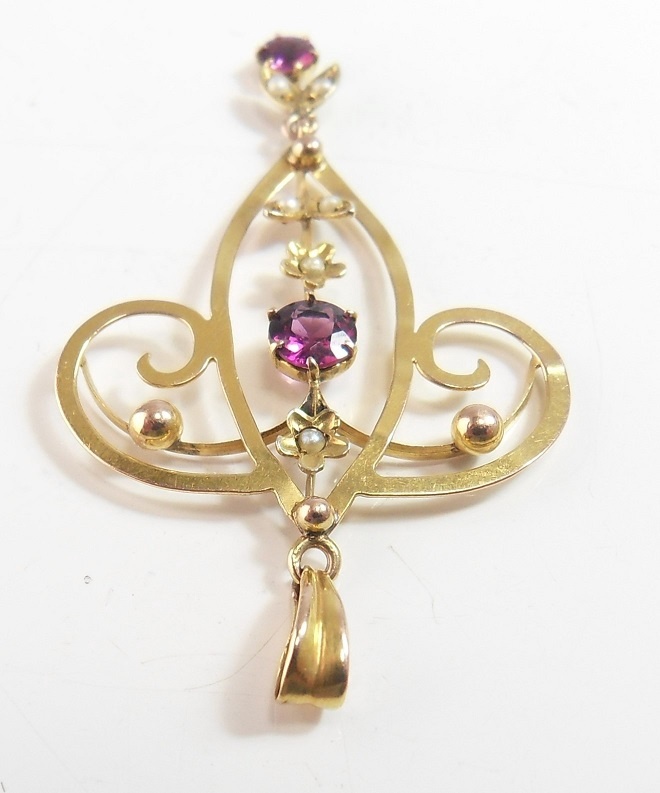 On the back the pendant is marked 9ct. 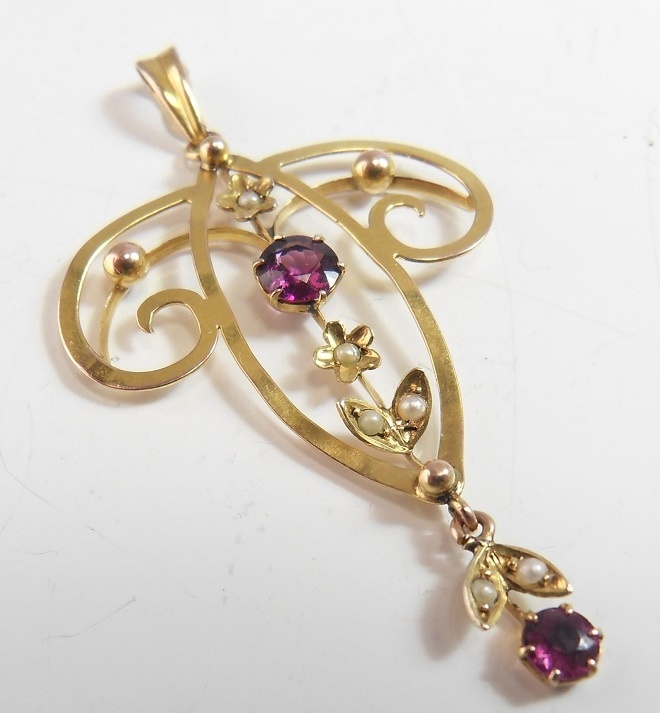 The pink Tourmalines are beautifully highlighted by the colour of the seed pearls - a lovely combination! Looks lovely when hanging from the neck! Condition: In great antique condition. 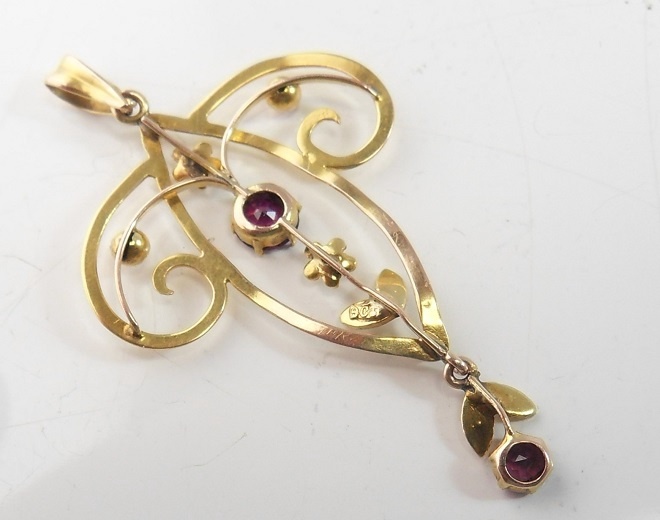 Full height of pendant including loop: 4.8 cm approx.